There is never a bad time to pay attention to your hydration levels, especially ;undertaking a training program or working out. ;Take the ;time to read some easy to follow tips from ;Athletic Republic, Pittsburgh ;for staying hydrated. The best time to ;begin hydration is around 2 to 3 hours ;prior - around 17 ounces of water. This gives your body a reserve to take from as you start to work out and before you take your ;next drink. The amount of water you will require depends on the level of ;workout you're undertaking. As a general guide, look to drink around 7 ounces of water ;at 10 minute intervals. If you are looking to supplement your ;water with a targeted sports drink, speak with your trainer about the best option to match your activity. Of course, the best way to gauge your hydration level ;is to listen to your body. 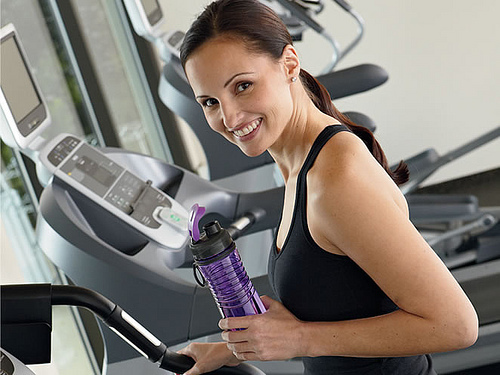 If you feed yourself becoming faint or nauseous, stop your exercise and hydrate immediate. Just because you've stopped putting ;strain on your muscles doesn't mean that they stop requiring ;hydration. To help boost your muscle repair and prevent unnecessary damage and muscle loss, try to drink another 8 ounces of water before ;resting or going to ;sleep. Finishing a workout with a ;designed ;recovery drink can be a ;replacement should your trainer feel it appropriate. Staying hydrated and ;ensuring successful muscle recovery ;are key to a successful training plan. Speak with a training professional ;at ;Athletic Republic, Wexford on 724 933 4317 about how our training programs can help you get the most out of your training sessions.